As much as I love techniques that save time and effort, sometimes you have to go for broke and forget all the shortcuts. 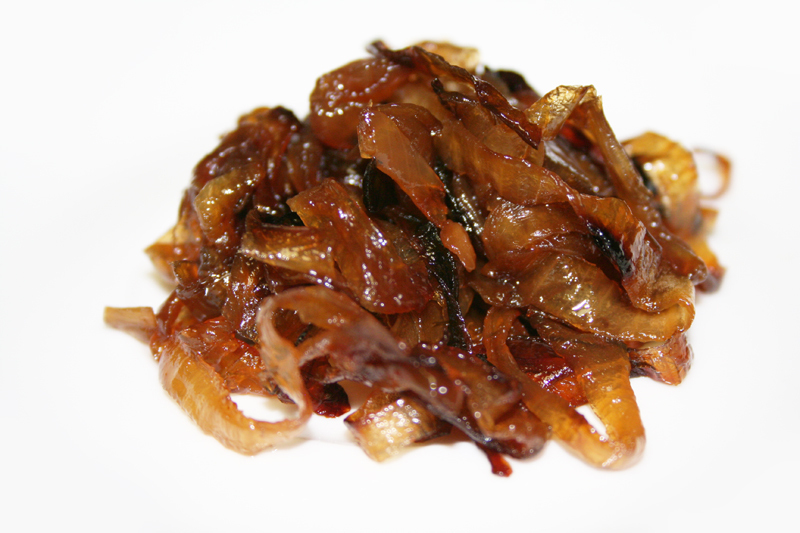 When I read Chef Tim Ma’s recipe for his caramelized onions (“carmies” for short), I paused for a beat. 3 to 4 hours? For real, dude? Yes, for real. As I peeled and chopped away, I wondered what the final product would be like given the sheer amount of time expended on the dish. And as the onions sweated away, the house started to smell good. And then it smelled better than that. And then better than that. And then so good that I began to question why I didn’t cook all onions in this way. Sandra Lee and Rachel Ray be damned (although I could see that maybe, just maybe, Rachel Ray would cook these babies earnestly on a weekend – maybe that’s a little too much faith in humanity), this recipe is the most perfect exercise in reminding ourselves why we cook at all. When we give the ingredients we’re working with the exact amount of time that they need to become the epitome of deliciousness, we have the ability to create dishes that excite and delight. I say all of this with the utmost of sincerity – why would I ever waste time making boo boo when I could make these onions? Melt butter over medium heat in a large skillet. Add onions and season with salt and sugar. Reduce heat to as low as possible and cook onions slowly until they become a deep golden brown, stirring occasionally. You’ll be cooking these guys for about 3-4 hours. This is barely a recipe, but so delicious it’s well worth listing here. 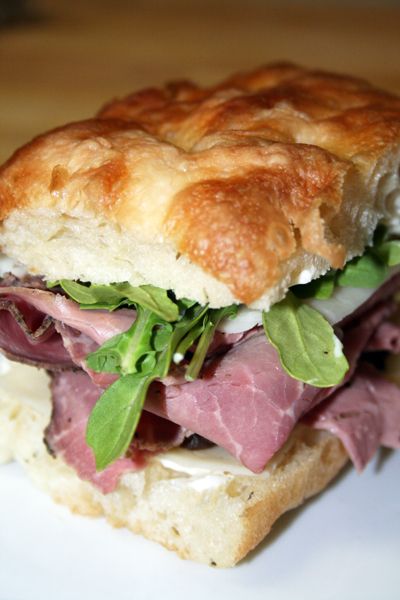 Layer these onions on foccacia with rare roast beef, fresh arugula, horseradish cheddar and mayo, salt and pepper. It’s lovely for the spice, particularly the peppery arugula playing up the sweetness of the onions. Yes! Languishing in the kitchen by myself, I found myself thinking about the incredible movie “The Wackness” and ended up jonesing for some old Mary J (pronounced Murr J) and the song “Reminisce” – the irony is not lost on me. I have to apologize to my husband right off the bat, but I’ve been having a (not so secret) love affair with dumplings for pretty much my whole life. When people tell me about how much they themselves love dumplings, in the back of my head, I’m always saying “Nope. Nowhere close to as much as me.” I occasionally even question whether I love them more than Andrea Nguyen who wrote the beloved book “Asian Dumplings“…maybe we’re tied. From my early memories of eating fat, pleated jiao zi at the Hsian Foong in Arlington, VA, to scraping together pennies to buy the potstickers (like crack) from Ollie’s Noodle Shop while in college, to polishing off plate after plate of crystal chive and shrimp dumplings at dim sum, I look upon the modest dumpling as the penultimate perfect food. When I asked my friend Tim Ma, chef and owner of Maple Ave Restaurant in Vienna, VA, to do an interview for the site, I was most looking forward to him proffering a mind-blowingly good recipe to share. When I saw his potsticker recipe, I straight up cheesed – what luck to have access to a recipe that was passed on to him through his family. And I’d get to eat the results. The beauty of this recipe is in the simplicity – garlic chives and sesame oil do all of the heavy lifting seasoning the ground pork. And as Tim explains, the wrappers are an art form – practicing rolling the wrappers yourself is well worth the effort and far better than you could get from most restaurants. This is the kind of cooking that is rooted in love – you make these dumplings for people that you care for, and hopefully have them join you in the effort. Dumpling party, anyone? I promise I’ll consider sharing one or two. Learn more about Chef Tim and check out another one of his fabulous recipes by clicking here. Begin by making the dough. Combine water and flour and mix until all flour is just incorporated. Let dough rest for 10 minutes. Next, make the filling. Mix the pork, chives, dried shrimp, salt and sesame oil. You’re now ready to start making your wrappers and filling the dumplings. Roll out the dough into long sushi roll and cut into small round 1 inch pieces. Use a small rolling pin to flatten it into a wrapper about 3 inches wide. You are looking for wrappers about the same thickness as gyoza, so when rolling out your own dough, it’s pretty thin. It’s really an art – you make small balls about 1-inch in diameter, then smash down with your hand. Roll the pin around the edges until you get your thin wrapper, leaving it a little thicker in the middle and thinner on the edges. Sprinkle some flour on a clean surface on the kitchen counter. Place each wrapper on the floured surface with the floured side facing up. Put 1 heaping tsp of the filling in the center of each wrapper. Wet your finger in the cup of water and wet all around the outer edge of the wrappers. Close it by folding it up and pressing two wetted sides together. Set it down on a flat surface and make the bottom flat. After about 20 to 30 finished dumplings, you can set a non-stick flat bottom skillet on the stove. Add 1 tablespoon of vegetable oil in it and place the dumplings all around the skillet. Add two cups of cold water, and then put a lid on the skillet. Turn the temperature to high. When the water is dry, turn the fire to low. Take out the dumplings when they are golden brown and crispy at the bottom. 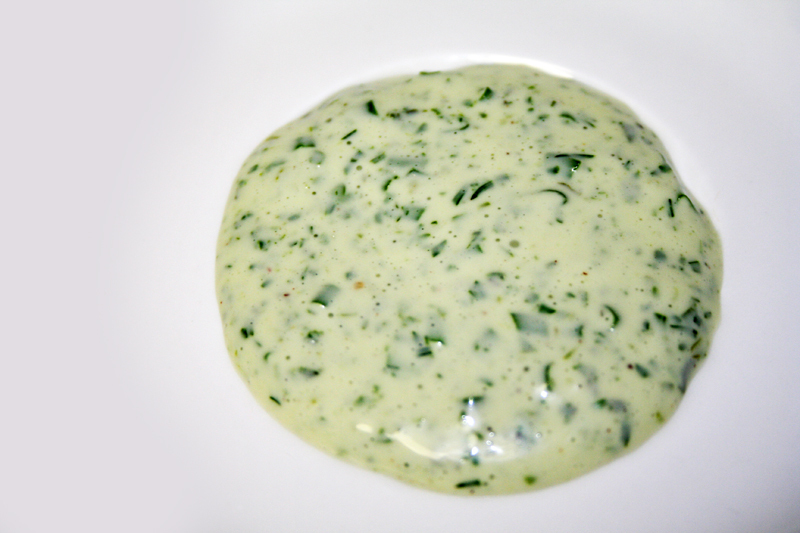 Serve with dipping sauce (recipe below). If you like things hot, you can make a spicier dipping sauce out of hot chili paste, soy sauce and sesame oil. 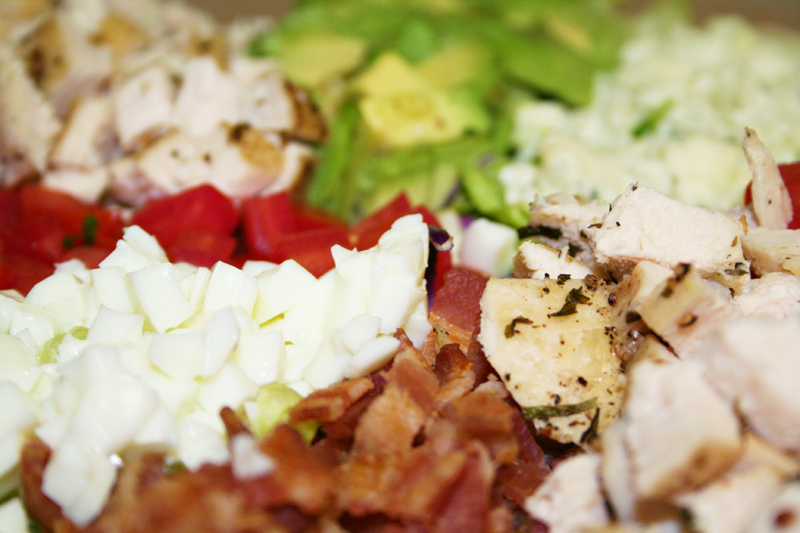 Mix all ingredients well and serve. Sauce will keep in the refrigerator if you don’t use it all.